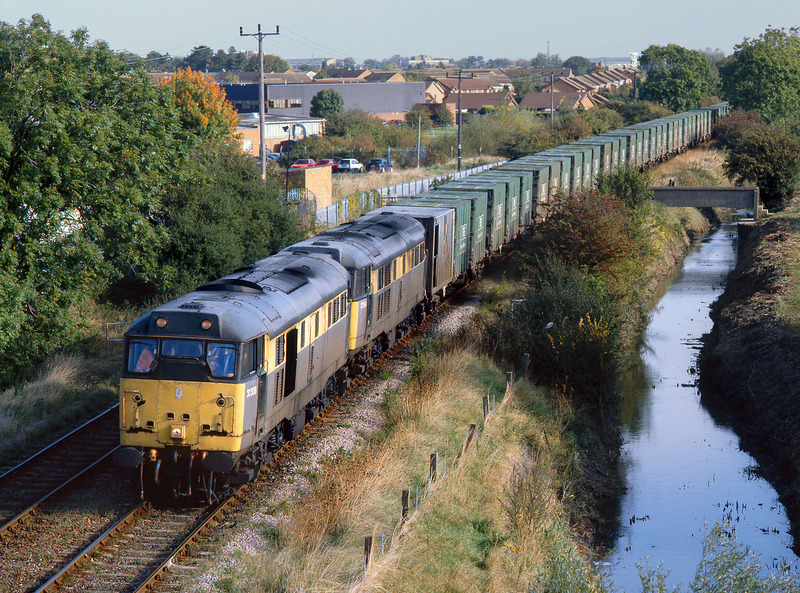 31308 & 31154 pass Kempston on 12 October 1998 with the 6A61 08:00 Cricklewood to Forders Sidings binliner. Just look at the size of those rusty holes on the front of 31308! Obviously it was in much better mechanical shape than it was cosmetically, as it managed to survive in traffic for another year.